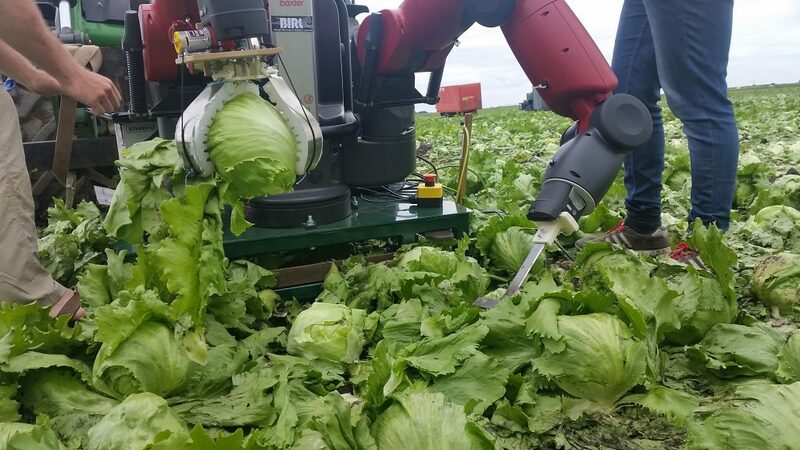 Advanced engineering could be the solution for the sustainable intensification of agriculture, as technology for producing service robots reaches maturity. 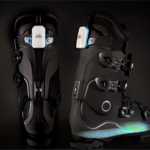 The UK is emerging as a leader in robotics with many universities working in this area. Experts in robotics from University of Cambridge, University of Lincoln and Harper Adams University will be discussing the latest developments at an event organised by Agri-Tech East. So what exactly is a robot? Dr Andre Rosendo, a Research Associate at the University of Cambridge, believes that there are two critical factors that separate a robot from a machine – the capacity to be autonomous or to act with some degree of decision, and presence of actuators, which allow a machine to alter its environments. This precludes computers and fridges from being called robots. Dr Rosendo will be speaking at the Agri-Tech East event alongside Professor Tom Duckett, who leads the Lincoln Centre for Autonomous Systems at the University of Lincoln. Professor Duckett says that agricultural robotics bring benefits of reduced labour costs, economic sustainability, less waste and better use of natural resources. The technology has the potential to be deployed at any time of day and impact positively on the productivity and life quality of agricultural workers. The Lincoln team, part of the University’s Lincoln Institute for Agri-food Technology, has been working on multiple projects in this area including 3D mapping techniques for improving the precision of agricultural sprayers and a new project in 3D imaging for broccoli harvesting, which is producing strong results and attracting interest from end users such as the Brassica Growers Association. Prof. Duckett continues: “Already we can envisage agricultural robots that could perform multiple tasks, for example, inter-changeable tools would allow switching between tasks such as seeding, tillage, spraying and harvesting. A number of machinery companies are investing in the technology and a project in 3D imaging for robotic weeding is currently being carried out with a local company, Garford Farm Machinery, world leaders in automated weeding equipment. Prof. Duckett believes that the underpinning technologies for robotic perception, learning and action are already reaching the required level of maturity to leave research laboratories. So what steps need to be taken to transition from lab to work on the farm or in the factory? Professor Duckett, Dr Rosendo and Professor Simon Blackmore of Harper Adams University are scheduled to speak at NIAB Park Farm, Cambridgeshire for the Agri-Tech East ‘Pollinator’ event on 11 October 2016: ‘Robo-Cropping – The Potential for Precision Robotics in Agriculture’. 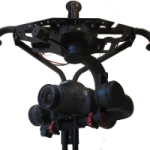 If you are interested in seeing how robotics could add functionality to your product development then Robotae provides a consultancy service. 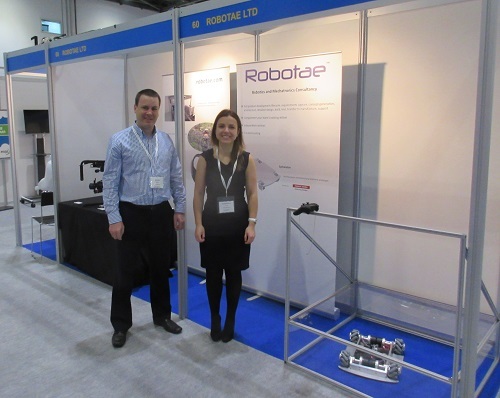 Robotae, a technology consultancy specialising in robotics and mechatronics, will be at the Engineering Design Show for the first time. 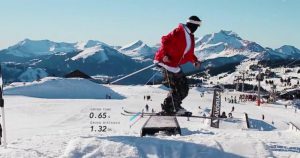 The company is behind the electronics of Kickstarter sensation Carv, the world’s first wearable to analyse skiing technique. 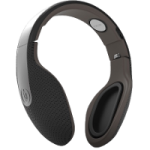 Visitors to the Robotae stand will see video footage of Carv in action, alongside other client products such as innovative sleep sensing headphones. 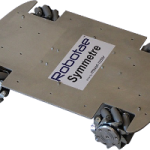 In addition, Robotae founder Dr Rathbone will be demonstrating on the stand the impressive Symmetre robotic platform, which delivers omnidirectional movement – rotating on the spot, moving forwards, backwards and sideways. 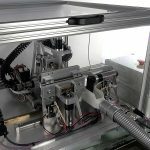 Robotae has expertise in mechatronics, integration of hardware and software, balanced systems architecture, PCB design, machine vision, machine learning, real-time embedded software, rapid prototyping and much more.